What a night!! First, the 10-point Underdog Stanford Cardinal goes into the Coliseum, and overcomes an 11-point deficit to upset (formerly) #6 u$c, 41-31. Then, as if that wasn’t enough to make it a glorious night, UCLA overcomes the ejection of their leading tackler, an injury to their best Cover Cornerback, a recovered Onside Kick, three 1st Half Josh Rosen Interceptions, and a 10-point 4th Quarter deficit, to pull out a miracle 24-23 victory over #19 BYU. 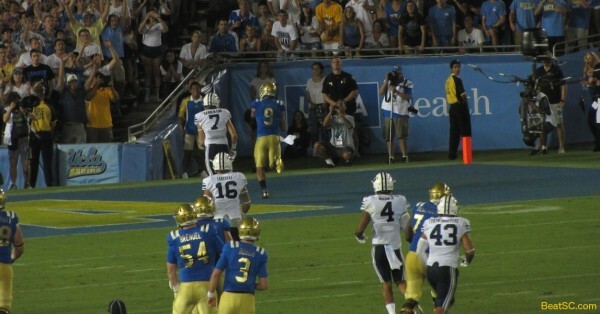 The game at the Rose Bowl started out shaky for the Bruins, as they started with a 3-and-out. Then their Defense, who is playing without former leading tackler, injured Eddie Vanderdoes, who had surgery last week, lost their NEW leading tackler, Kenny Young, on an ejection. Referees ruled that Young targeted the BYU Quarterback. The QB went down to the ground, and then it looked like Young tried to AVOID hitting him, but apparently brushed the QB’s helmet with his shoulder or arm while sliding past him. Then All-Conference-level Cornerback Fabian Moreau got hurt, and didn’t come back until the last drive of the game. Although the replacements played formidably (Isaako Savaiinaea for Young, and Denzel Fisher for Moreau), the Defense was not the same. Actually, the Defense had spurts of awesomeness, and periods of struggle. BYU drove easily and scored a TD on their first possession, but then was held without a 3rd Down conversion for the rest of the half, scoring only a FG. But in the 2nd half, BYU put together three lengthy scoring drives, including one with 4 straight 3rd Down conversions, leading to another Field Goal, giving BYU a 6 point lead with under 6 minutes to go. The Bruins were able to run all night, with Paul Perkins leading the way. Perkins gained a career-high 219 yards and scored a TD. But the Cougars pressured Josh Rosen into 3 First Half INT’s, so it was 10-3 BYU at the Intermission. The Bruins finally got it going in the 2nd Half, as Rosen stopped forcing things, and Perkins took over, with aid from good returns by Devin Fuller. 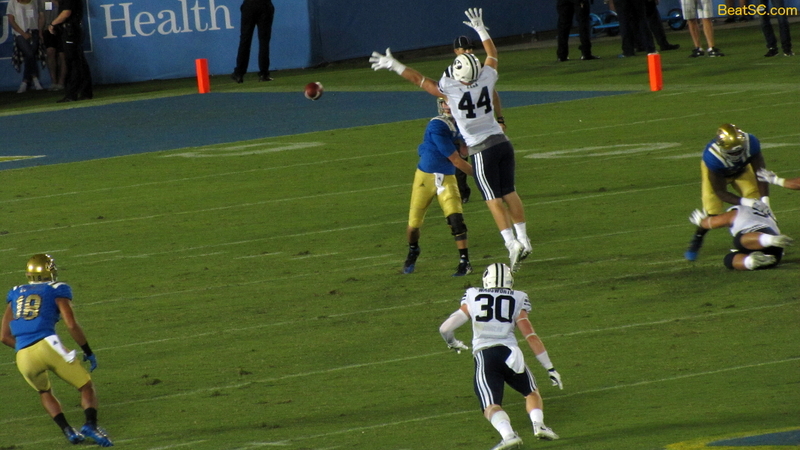 Perkins’ TD in the 3rd Quarter tied the game at 10, but BYU answered with a score to make it 17-10. In the 4th, BYU added a Field Goal to make it 20-10. But the Bruins didn’t panic. They got back into it on a TD pass from Rosen to Jordan Payton. That’s when BYU drove down with 4 consecutive 3rd Down conversions. 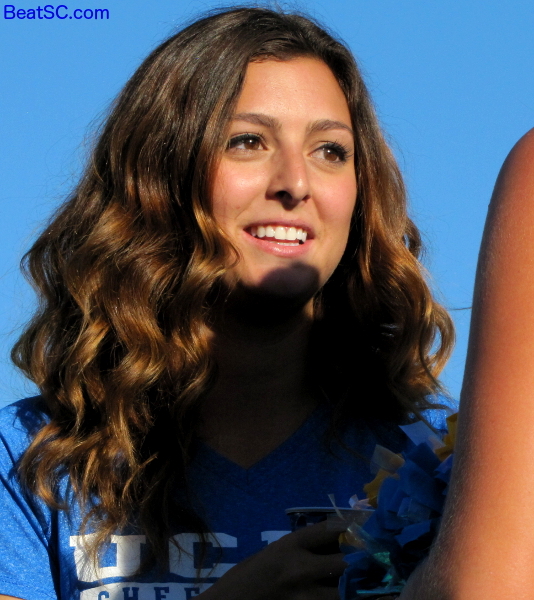 But the Bruin D finally stiffened, forcing a Field Goal. So it was 23-17. You would think that the Bruins would take to the air to try to score in the 5 minutes they had left. OR, you would think it would be Perkins Time. Instead, Nate Starks came it and obliterated the Cougar Defense. 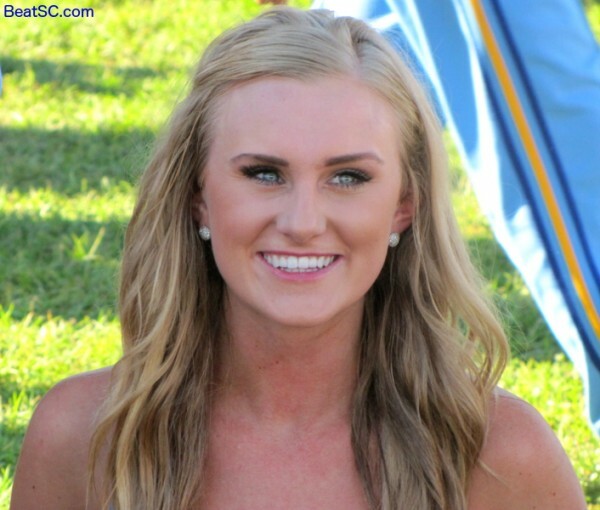 A 31-yard run was the big blow, leading to a short burst into the end zone. The only problem was that they scored TOO FAST, leaving 3:21 for a BYU Offense that was converting 3rd Downs with remarkable ease during the last few drives. 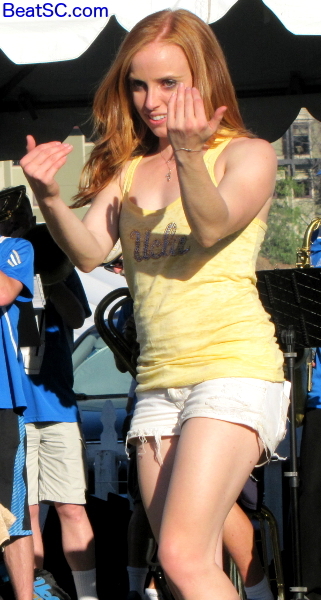 And it looked bad as they drove into Bruin territory. But with less than two minutes left, the Cougars stalled. 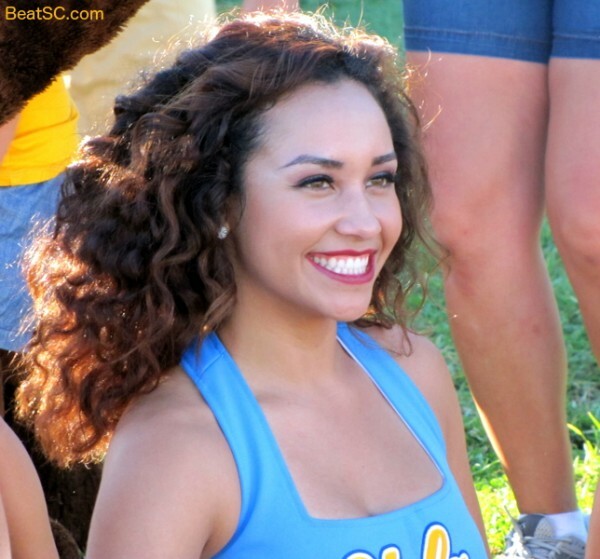 When forced into a 4th Down, they called a pass play, but the Bruins pressured the QB, who threw a desperation heave, which went right to Myles Jack, and that was all she wrote. BYU had won both their games this year on late Hail Mary’s, but their prayers and luck finally ran out, in Pasadena. 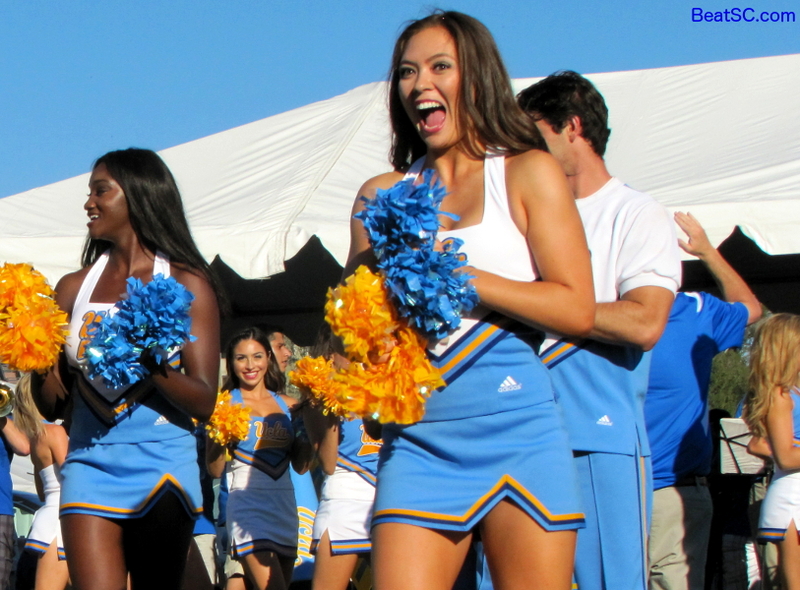 The Bruins are now 3-0, and 1 game ahead of u$c (in the loss column) in the Pac-12. They will also leapfrog sc in the Top Ten Rankings, although with Ole Miss beating #2 Alabama IN Alabama, the Bruins may remain at #10, passing sc, but getting leapfrogged themselves by Mississippi. Now that poll voter see that Rosen is mortal and may look like a Freshman sometimes, the Bruins won’t be rising to the Top 5 any time soon. Now let’s get on with it — 55 more photos!! Rosen was pressured all night, and tried to do too much. He settled down in the Second Half and stopped giving the ball away. 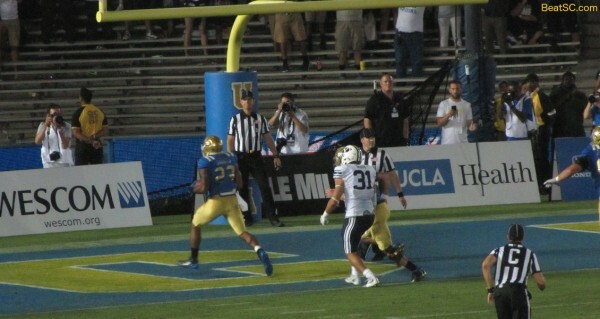 Here is Jordan Payton scoring easily on a Rosen strike. Here is Perkins, using his strength to BACK IN to the end zone for a Touchdown. 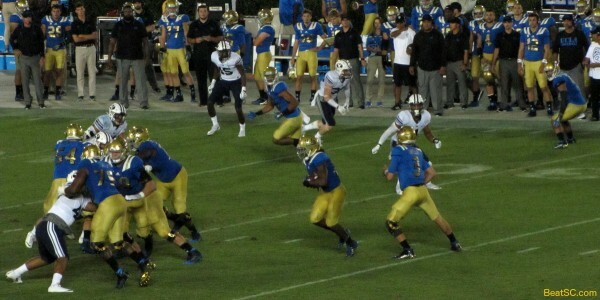 Look at this blocking: The RUN is UCLA’s bread and butter. Future Defenses will try to neutralize the ground attack, giving Rosen more time and space to return to his Game 1 form. Wide open BYU Receiver catches a TD pass. 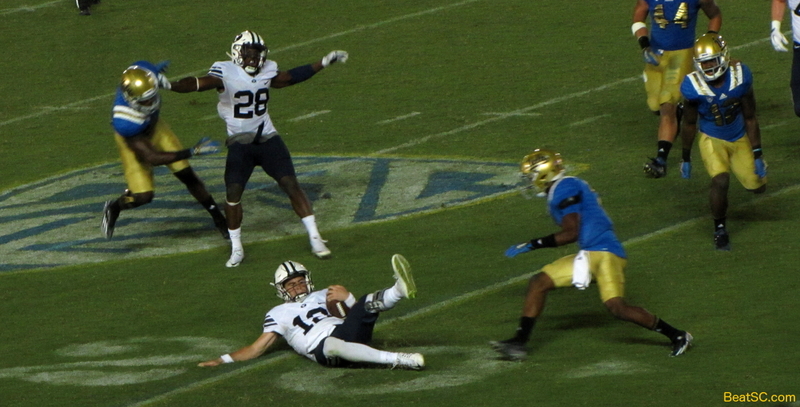 BYU’s QB slides to avoid a hit. Another good pop separates the Cougar from the ball. 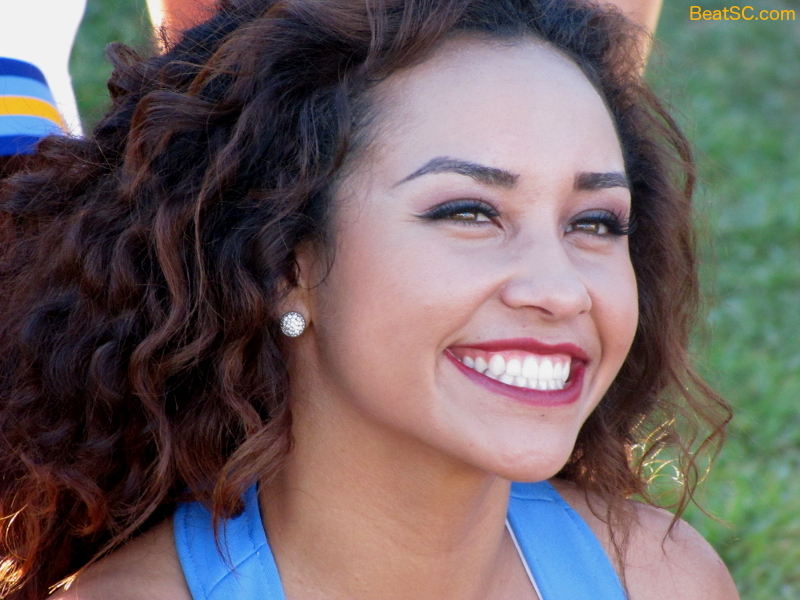 But the Cougar short passing game was too effective. Open men in the mid-range area all night. But on the last play, when it mattered most: Here is the QB, throwing a game-clinching Interception. 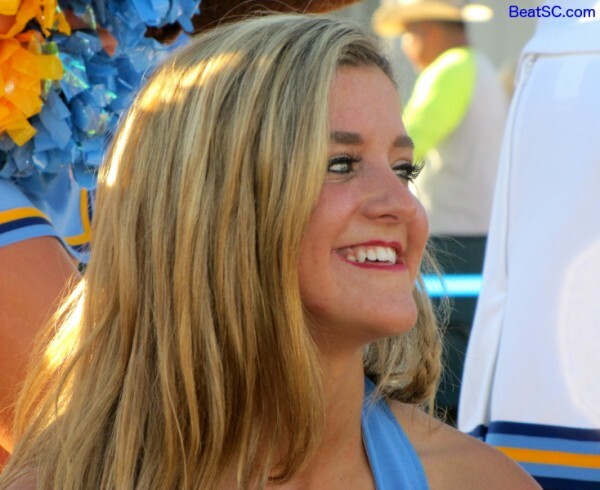 "LEGS FOOL YOUNG" was published on September 20th, 2015 and is listed in Blue & Gold News, News from the Dark Side, UCLA/usc/Cheerleader Photos, UCLA/usc/Sports Photos. On the Young hit on BYU’s quarterback: Two of the three replays were not conclusive. The first one they payed showed a clear forearm aimed (and connecting) with the quarterback’s head. Let’s be honest. It was a cheap shot. 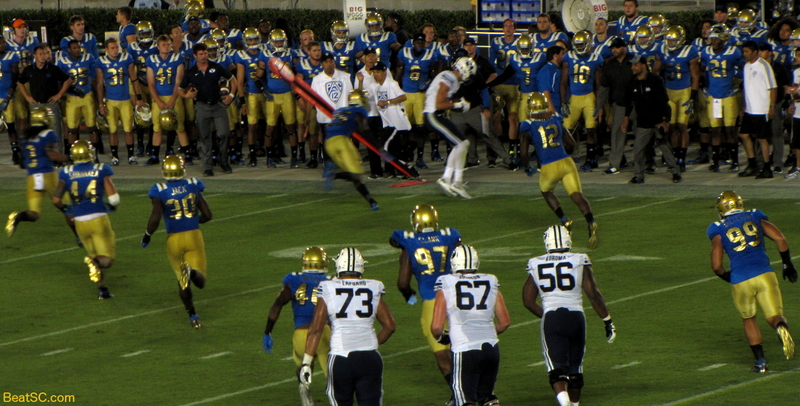 With that and the Bruins’ defensive backs trash talking BYU’s receivers every time a pass was incomplete, I practically found myself rooting for BYU. Practically. A great comeback win. Gonna have to protect Rosen better down the road, though. As for the game, while I prefer Bruin victories of the more comfortable, less “thrilling” variety, I knew that it was going to be a much tougher game than the ridiculously inflated spread would’ve had one believe. The Bruins deserve a lot of credit for hanging tough against a very capable opponent while Rosen went through an ugly but inevitable learning-on-the-job experience. That said, his receivers still need to do a much better job running their routes, and especially helping him out and gaining separation when he’s forced to scramble. You can expect future opponents to load up against the run, and our veteran receivers need to make it easier on our young QB to grow and thrive under pressure. League begins now: eyes on the prize–but FOCUS on every play, through the whistle!